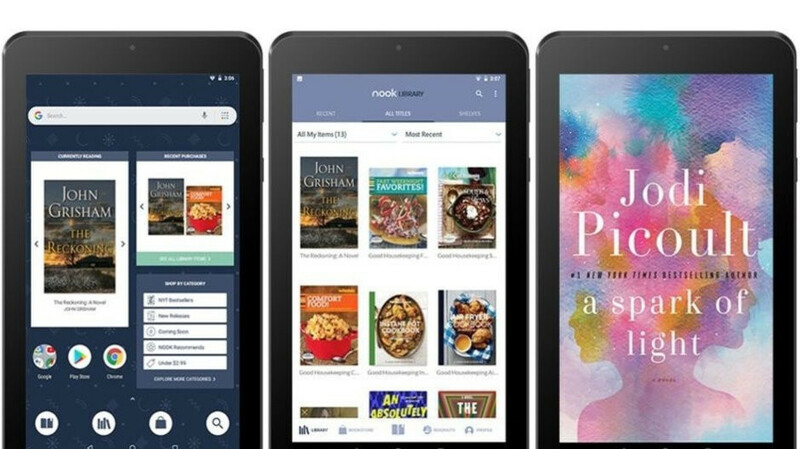 After unveiling a relatively affordable 10.1-inch Android slate just last month, the company decided to also refresh its 7-incher “in time for holiday shopping.” The aptly named Nook Tablet 7 (or Nook 7 Tablet, as B&N seems incapable of making up its mind) is about as cheap as an Android tab can be without sacrificing the bare necessities. The independent author community on B&N just isn't the same, and that makes a huge difference for content. If this had been done in conjunction with public library lending as a joint effort, perhaps it would be a strong entry. Not holding out hope though. Bought a BN reader years ago. Put almost no books on it because the BN pricing wasn't better and the content was much more limited. This is a tablet though with full access to the Play Store. Not really for me, but you can't really say much about a $50 tablet. At least it has 16GB of storage unlike a certain other tablet. At least make the screen 720p.